Not far from the entrance to the Poppintree co-operative housing site off St Margaret’s Road near Ballymun, a row of dark-brick homes are almost finished. 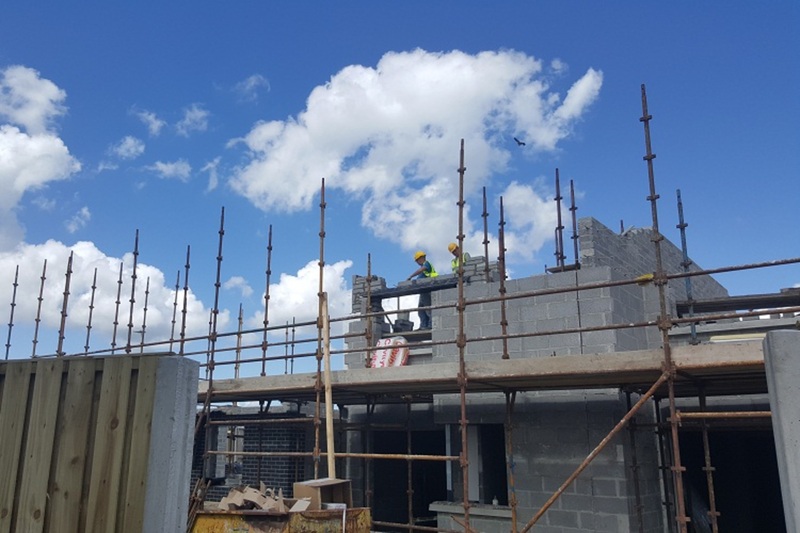 There’s scaffolding up around the walls, but they will be ready for their new owners in the next few weeks, says Hugh Brennan, the general manager of the Ó Cualann Cohousing Alliance, on a recent Friday. His orange high-vis jacket flaps in the breeze. Those moving into the first tranche of 49 homes developed by the Ó Cualann Cohousing Alliance have paid much less than the current price of new builds in this area. The rest are already taken. He rattles off the numbers that the 49 Ó Cualann homes have gone for. The cheapest two-bedroom is €140,000, he says, pointing to the middle home in a terrace on the other side of the road. The majority of the three-bedroom homes are €170,000, and the four-bedroom homes range from €200,000 to €219,000. “Immediately, when people move into them, the homes are worth €50,000 more,” he says. The obvious question in a city struck by a crisis in affordable housing is can we, and should we, be doing the same elsewhere. Brennan’s background is in engineering, he says, as he walks through the under-construction estate. There are neat stacks of breeze blocks along the edges of the roads. The site is quiet, with only the hum and rumble of a fork-lift truck as it carries wooden fencing down one of the dusty streets. He worked abroad in construction for many years – running projects for the volunteer building charity Niall Mellon Township Trust in South Africa, and later headed up a housing organisation called Haven in Haiti. “We could build in South Africa and Haiti for half the price of everybody else,” he said. He jokes that when the flew home to Dublin, he expected a welcome entourage, and queues of people lined up to employ him. They didn’t materialise. But he soon recognised a need in the city, and created his own work, drawing on his experiences working for NGOs abroad. Those working in international aid, or international development, carry out needs analyses before they do projects, says Brennan. Well, they’re supposed to at least. “You see, can you address the need?” he says. After that, you go search out all the other people who have already noticed a problem, who have been working on solutions themselves, and you see what they’ve learnt. “There’s no such thing as an original idea,” he says. He has taken a similar approach with the Ó Cualann Cohousing Alliance. The need that Brennan identified, the need for affordable housing, is beginning to get more attention. As Brennan tells it, 40 percent of households in Ireland earn less than €80,000 but more than would make them eligible for social housing. That’s the band that he would see affordable housing as aimed at. Right now, they’re not getting much of any of the limited housing that is being built. “Seven percent of house sales in 2015 went to those people,” says Brennan, citing statistics he says are drawn from the Central Statistics Office and the Nevin Economic Research Institute. At the moment, 50 percent of Ó Cualann Cohousing’s first round of buyers are renting. The other 50 percent are in all kinds of housing conditions, he says. Some are living with family or friends. One couple is split between family members, as there’s no room in a single home for both of them. There are a couple of soldiers, living in army barracks. “They’re scattered,” he said. For the 50 percent who are renting, they are spending on average €1,400 in rent a month, he says. 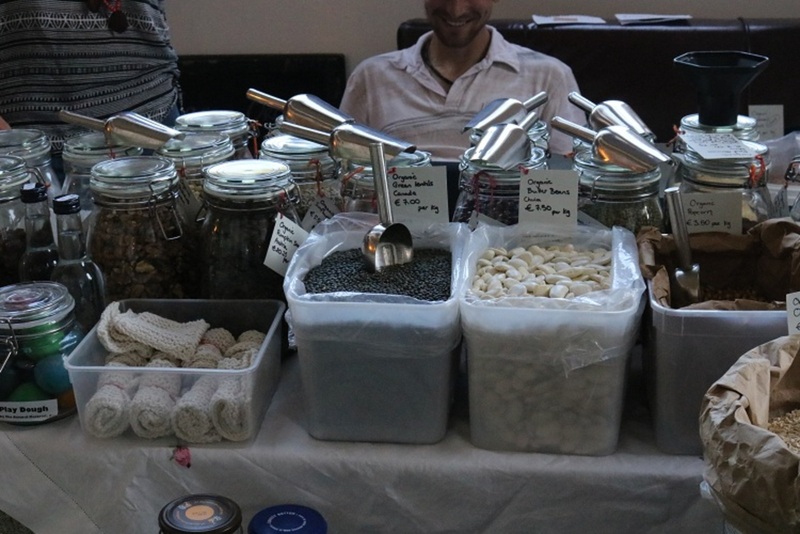 “In here, it’ll be an average of €900 a month [for mortgages],” he says. To some, it sounded too good to be true when they saw the advert for Poppintree on Daft.ie. “The first time I looked into it, I actually thought it was a hoax or something,” said Helen Cheevers, one of the owners due to move into the first homes this month. She and her partner had been looking for a while, but there was a hint of window-shopping to the search. “We understood from our perspective that we’d probably never be able to afford a house,” she said. They both have entry-level jobs, he at Google, she at the Social Welfare Department. Together, their salaries add up to about €50,000 a year, she said. Cheevers says that the money they will save by owning their home here will make life less stressful. “The excess disposable income will probably go into paying off the mortgage that little bit earlier so we don’t have to pay as much interest,” she said. Brennan has research on what is likely to happen with the €500 a month more that these families will, on average, suddenly have in disposable income. Usually, 40 percent of it goes into savings, or one-off big spends such as new cars, or holidays. The rest gets spent locally: on childcare and creches, in cafes and restaurants. “That has the ability to change an area,” he says. As Brennan counts it, there is space for 2,000 homes within the Ballymun local area. He’s done a thought experiment, imagining if they were all affordable homes. Taking that 2,000 figure, and working in the multiplier effect that you get from money spent in a local economy, he gets a staggering figure. “There could be €13 million in extra income in the Ballymun area, by using this model,” he says. That could have a knock-on effect for things such as the viability of local shopping centres. How Can the Houses Be So Cheap? At the Dublin City Infrastructure Summit at City Hall in late May, the economist Ronan Lyons pointed to issues around the cost of building. It costs €2,100 to build a square metre of apartment space in Dublin, he said, while in other European cities, the average cost is €1,400 per sqm. “We need to find out why Dublin is 50 percent more expensive than its peers when it comes to building the kind of accommodation that we desperately need as a city,” he told the meeting. 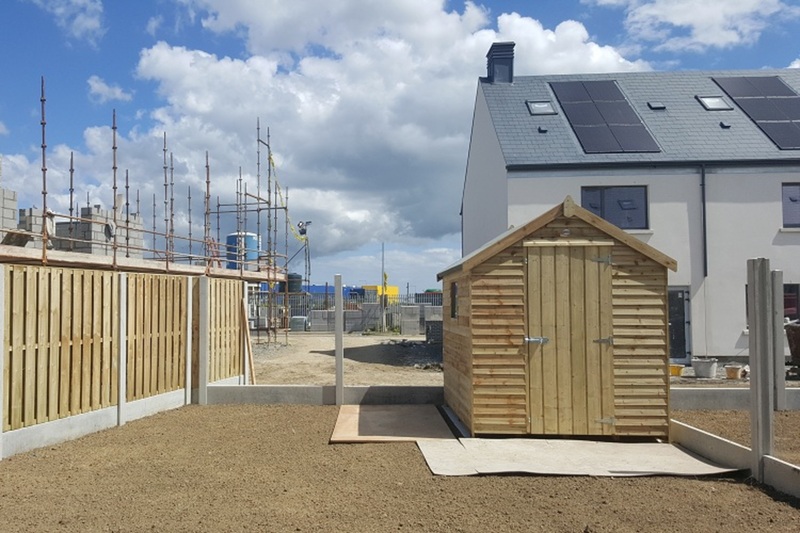 At Poppintree, the Ó Cualann Cohousing Alliance has managed to build for much less – because as a non-profit affordable-housing provider, they’ve had some council help. As Brennan sees it, you can break down the cost of building into a few ingredients: land, development levies, the developer’s margin, and labour and materials. But you can whittle away at the others until you’re looking at a housing estate that some of those who are staring at life in the lower-end of the private-rented sector can actually afford to buy into. The scheme has private financing from a bank, and Brennan says they’re looking at an innovative model for financing, which he can’t talk about in detail at the moment. Dublin City Council has also been supportive, says Brennan. Ó Cualann got the land from the local authority for €1,000 per plot, with the proviso that it is only to be used for co-op housing. It’s probably worth roughly €30,000 per plot. 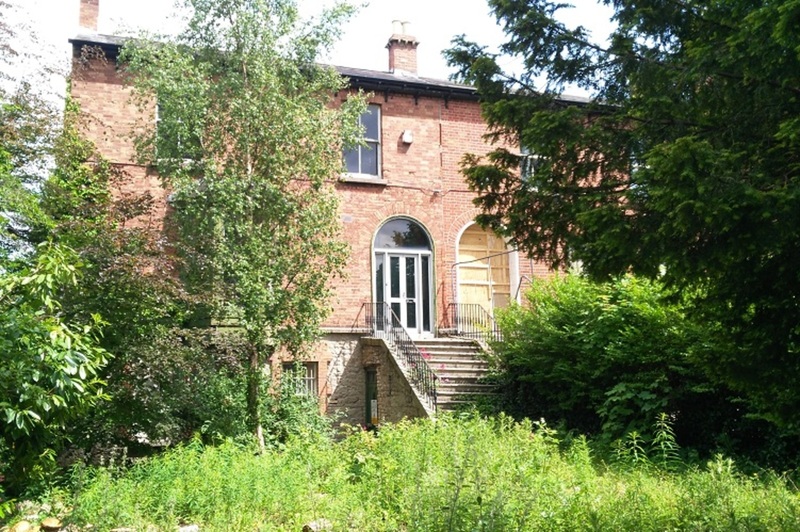 Ó Cualann is a not-for-profit approved housing body, so the council also waived the development levies, which are usually roughly €15,000 per home. And there’s a third way they saved too. “There’s no developer’s margin”, said Brennan. “We set a maximum of 5 percent on our surplus.” Some of that 5 percent will be set aside for later projects, and some will be used to pay for other little improvements to the Poppintree development. Brennan points towards the open gate at one end of the building site. It leads out onto a black-tarmac road. Pedestrians, cyclists and children will have priority on the roads within the estate, he says. So, they’ll put up a sign, and perhaps a road-safety barrier to help alert cars that they’re entering a kid-priority zone. They also plan to cover the roads in red surfacing. “The children know that on the red roads, they’re safe, and on the black roads, they’re not,” he said. Could This Be Done Elsewhere? Back in 2011, the central government rescinded the affordable-purchase scheme that had been in place until then. Under that, local authorities would build housing for sale on a non-profit basis, using their own land, or building at cost price, and sell it on to those below a certain income. 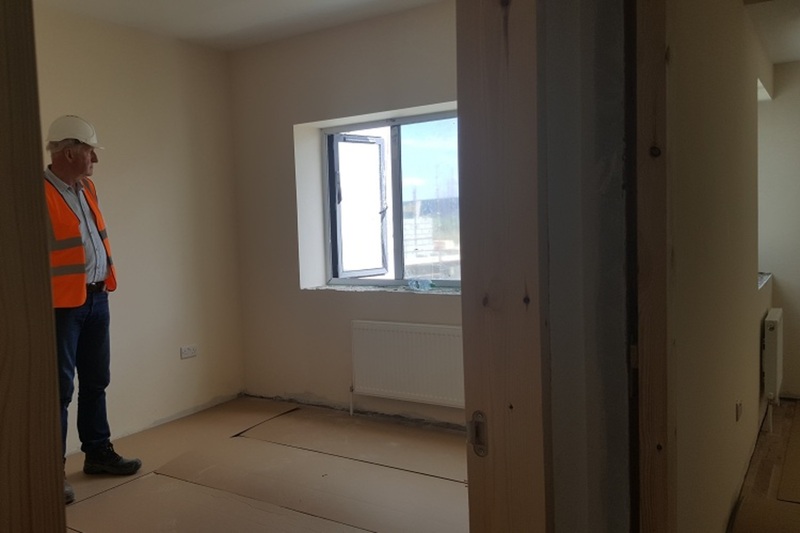 In late May, Housing Minister Simon Coveney said in the Dáil that there are no current plans to reintroduce a similar kind of scheme at the moment. Instead, the government is looking at affordable housing projects “as part of schemes on a case-by-case basis”, he said. “We need to give guidance to some local authorities around the thresholds under which and over which people will qualify for those affordable housing schemes,” he said. The pre-2011 scheme hadn’t worked that well, according to Simon Brooke, the head of policy at Clúid Housing, the not-for-profit housing association. The clawback clause meant that if a home was sold within a certain period, profits had to be shared with local authorities, and that meant that it wasn’t that popular, he said. But that clawback was needed, he said, to ensure that the state wasn’t just subsidising home-owners who might immediately flip the properties for piles of money. For her, the clawback was an attraction. “I actually prefer it this way, because the point of the clawback is that people aren’t using it as a get-rich-quick scheme,” said Cheevers. Brooke said that another reason for bringing the old pre-2011 scheme to an end was the housing policy statement at the time, which said that the government would no longer promote owner-occupation over other housing tenures. In some ways, the model being used by Ó Cualann is similar to the one that was ended – with a clawback, and not-for-profit – but in this case it’s privately financed. There seems to be demand for it, with a waiting list for future projects, says Brennan. Brennan says Ó Cualann doesn’t need the earlier affordable-housing-purchase legislation back in place to make it a success, and that it has the capacity to scale it up. “We would just like to see some kind of memo from the [Department of Housing] to say our model can be used by local authorities,” he said. But the model is dependent on land being available at minimum cost and infrastructure such as roads and drainage being funded by the state or local authority, it said. 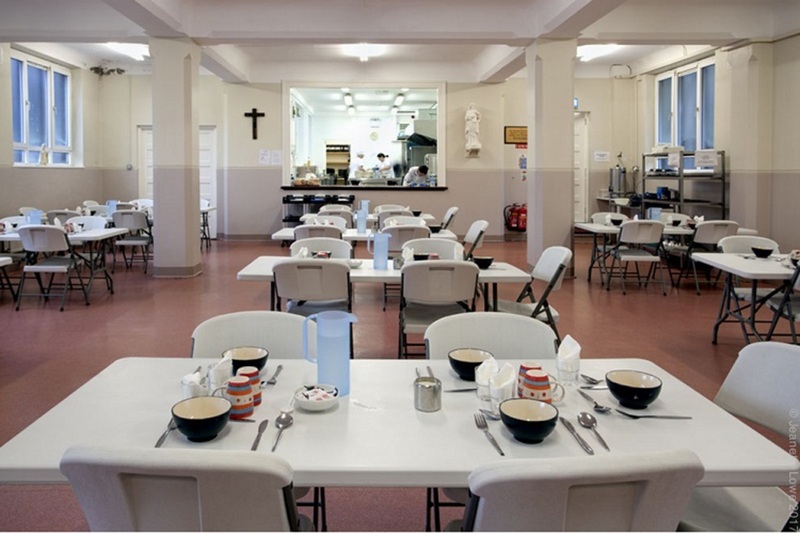 At the moment, the council faces a challenges with the availability of suitably serviced sites and the need to respond to the crises of social housing in the city. “In other words, there clearly is insufficient land in [council] ownership to cater for both social and affordable needs,” the spokesperson said, by email. At the moment, to do affordable Dublin City Council would have to forego the value of its lands and to source for infrastructural costs from central government. “This funding stream is not currently in existence,” they said. The council is working on plans for some affordable housing projects on land in Ballymun and Cherry Orchard. But “currently there is no National Affordable Housing Scheme which makes it very difficult to deliver affordability particularly in Dublin City,” they said. “However the city council is keen to deliver a limited number of affordable schemes on our own lands (in areas where may be a current over concentration of social housing) over the coming years,” it said. To the left side of the Poppintree site from the entrance, along the dusty little road, builders were at work last Friday on later phases of the housing. Outside, the gardens are neatly seeded, with wooden sheds. Inside, Brennan points out the heavy-wood doors and the double-glazed windows and the heated towel rails in the bathroom. At the top of the stairs, he points up to the square of light that opens out into the attic. “That’s ready to be converted,” he says. Part of Ó Cualann’s model is to make sure that it is building a mixed, integrated community. Of those who will move in here, 70 percent are from the local area, 30 percent are from outside. Some are immigrants, some are not. Brennan speaks about the housing segregation that he sees in Dublin, and the part that developments such as this can play in ending that. He points to affluent neighbourhoods, where almost all school leavers move on to further education, and other areas where scarcely more than 10 percent do. Brennan believes that the model Ó Cualann is using here can work elsewhere, and has a number in mind as a target for the future. “We’d like to build 1,000 in five years,” he says. He knows that 1,000 homes alone is not going to solve the housing crisis. After all, the Housing Agency says that we need an additional 81,000 homes by 2020 to meet demand in urban areas. But perhaps it can make a dent, and perhaps others, all across the country, can make dents there too. If they all learn from each other. He’s been in touch with people across Ireland – in Galway, and Kilkenny, and closer to home in Wicklow and central Dublin. They’re all interested in seeing if they can do the same where they are. “If other groups can use our model and do the same thing, then we can make a difference,” he says. No mention of the 12 years of negotiations with DCC from the Ballymun community and the time and money invested before Hugh arrived on the scene. It’s a credit to his hard work and creativity in getting this project completed. But the name of the article refers to “how the coop managed to build in Ballymun”. There is a huge story behind it including many sacrifices and struggles from the Ballymun community. The coops in Ballymun have actually been trying to develop this site since early 2000, under an agreement with Ballymun Regeneration Limited and DCC. This was part of the socioeconomic and tenure diversity strategy of the regeneration of the Poppintree Borough in Ballymun. If you really want the real story about this project, speak to the locals involved in the formation of the initial concept. You’ll find that’s a really interesting story indeed. @Tiernan WILLIAMS: Hey Tiernan, thanks that’s a good point. I guess I was focused in on the model, and how it had been made affordable even though there are no central government schemes as such at the moment. I didn’t mean to erase what those in the community have done. From what you say there, it sounds like many years of hard work on their part. so the model is “The scheme has private financing from a bank, and Brennan says they’re looking at an innovative model for financing, which he can’t talk about in detail at the moment.” ?? Even if you add another hundred grand for profit margin, site and site works it would still seem like a good price in the private sector. I would love to hear more detail on how this was achieved. If we could understand this, it could prompt the building of tens of thousands of similar homes. “It costs €2,100 to build a square metre of apartment space in Dublin, he said, while in other European cities, the average cost is €1,400 per sqm. “We need to find out why Dublin is 50 percent more expensive than its peers when it comes to building ” X What a wiseguy. Compare the wages between continental EU &amp; taxation and ireland an you will have an answer. Hayseed expert.